Now you know the Bad and the Ugly of my year. Let’s lighten up these blog posts with the Good. I am going to break this post in to a few different categories of good. Good things that happened. Good people. Things that made me feel good to help me get to the other side. Professional Development. Since July of 2015, I have completed 160 hours of professional development. No, my teaching certificate doesn’t expire until 2018 so I didn’t “need” to complete the hours before June 30. 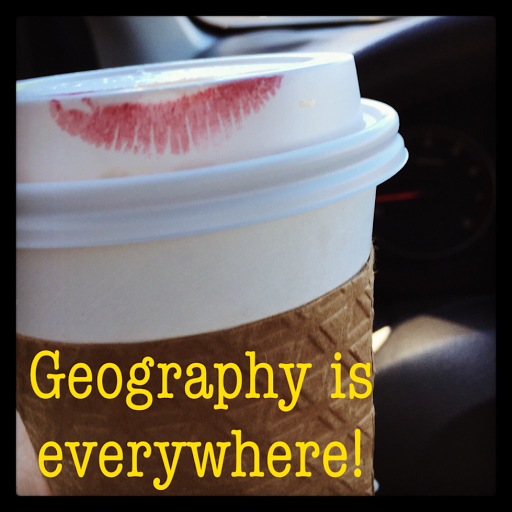 All but 6 hours of the professional development focused on geography. The time I spent learning helped empower me throughout the year. When I felt as if I couldn’t do this anymore, I would learn something new to try in my class. Sometimes it worked and others it didn’t but I had more tools in my toolbox. The professional development helped me create a larger learning network. The place I learned the most this year is through the South Carolina Geographic Alliance (SCGA). I am their groupie and go to EVERY session they offer. The SCGA has introduced me to a number of teachers in my state that I can work with and commiserate. This is a resource available to us for FREE. Through the SCGA, I learned about the National Geographic Certified Educator program which connected to me to teachers across North America. 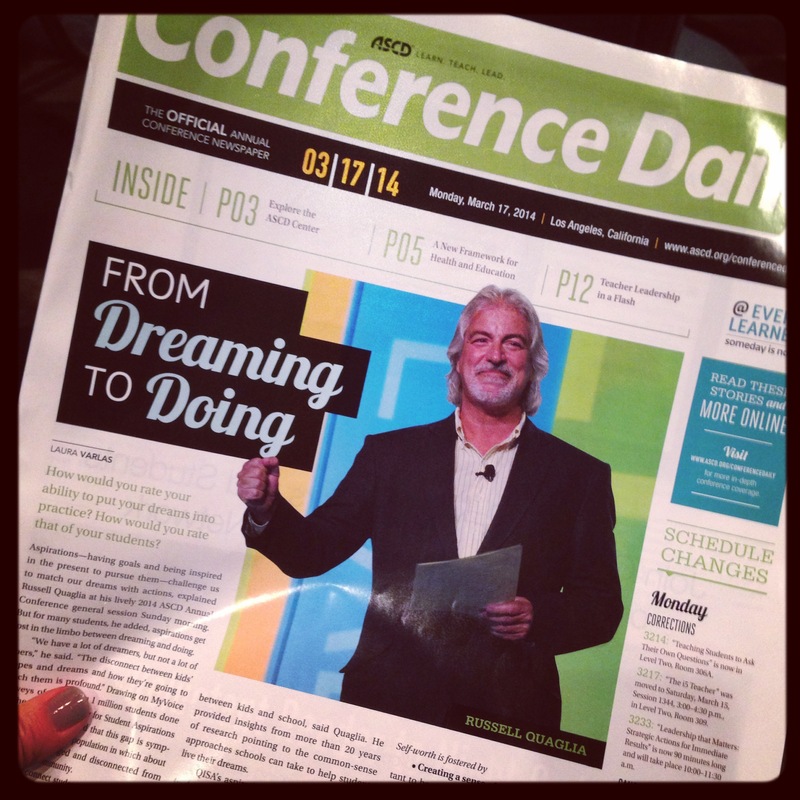 Other professional development I attended was through the Discovery Education Network, also a free resource. This group is like a big warm blanket wrapped around you on a cold morning. I also attended the South Carolina Council for the Social Studies workshops. Again, a great resource to connect me to local/regional teachers. Do you see the common thread to all of my PD? It’s the connection to teachers. It was so important to me to find other teachers to learn from, share with, and just people who understood. The People. Even in my darkest days this school year, I was able to seek out people who could help. Helping sometimes meant talking about anything other than school. Laughing just to laugh or listening when I needed someone to do so. Two people in particular were there for me this year. Our early morning chats, after school chats, and baked goods sharing helped me beyond measure. I was finding my community, my people. They know who they are and I love them both dearly for the camaraderie we shared. I just want to say thank you to Regina and Franklin. Your friendship means the world to me! The Book. See Me After Class, by Roxanne Elden, is a book I read after reading the NPR post “Hey, New Teachers, It’s ok to Cry in Your Car.” The article talks about the Disillusionment Phase that starts in about October and goes through Novemeber-ish. It’s a period when new teachers are full of doubt and can cause them to give up. It’s a real thing. I can vouch for it. I bought the book and decided to give it a shot. The book is filled with stories from Elden’s teaching career and the stories of others. Each chapter talks about real things that teachers encounter from “that parent” to grading to meetings. She offers practical advice. The book just made me think, “I am not alone thinking the way I am thinking.” “I can get through this.” Elden also has a Disillusionment Pack of emails you can sign up for. She will send you emails for about a month to help you get through the tough times. I found the emails immensely helpful. *Side note NPR’s article had so many comments from veteran teachers they published a second article, “Teacher’s Respond: Veteran teachers cry in their car too” If you know a new teacher or a new again teacher… I suggest giving them this book. Essential Oils and Meditation. This may sound like it is coming out of left field but as I felt anxious about the year, I used essential oils and meditiation to help calm me sleep. They worked. I specifically used a mixture of Bergamot, Lavender, and Frankincense in an aromatherapy diffusor in the evenings. I found that I couldn’t use it more than 30 minutes prior to me going to bed or it would put me to sleep. For meditation, I used an iOS app called Simply Being. I would do the 5 minute meditation shortly after coming home from work. I just needed a few minutes to center myself. Fun. I found the best medicine was fun. I am not the type of teacher who likes to stand in front of the room and talk. I like to move around, let the students be involved in their learning so I tried to incorporate as much fun as I could in to our day. We would do things like Speed Dating Vocabulary – Students dressed up as a vocabulary word and try to find their mate. Fun matters. Laughter matters. With fun and laughter you gain trust and the relationship of teacher and student forms. I have said this many times and I will say it again. I learned more this school year than I have my last 10 years in Educational Technology. My third year teaching my principal said to me “I see you becoming an administrator.” I told her no because I was never leaving the classroom. She was right for a time… I did leave the classroom for district administration but the whole time I felt I needed to strive for something higher or try something new every few years. Now I know that need for something else was my inner voice telling me to go back to the classroom. I am home. Here I come 2016-2017 school year! I debated on what order to place the next three blog posts. 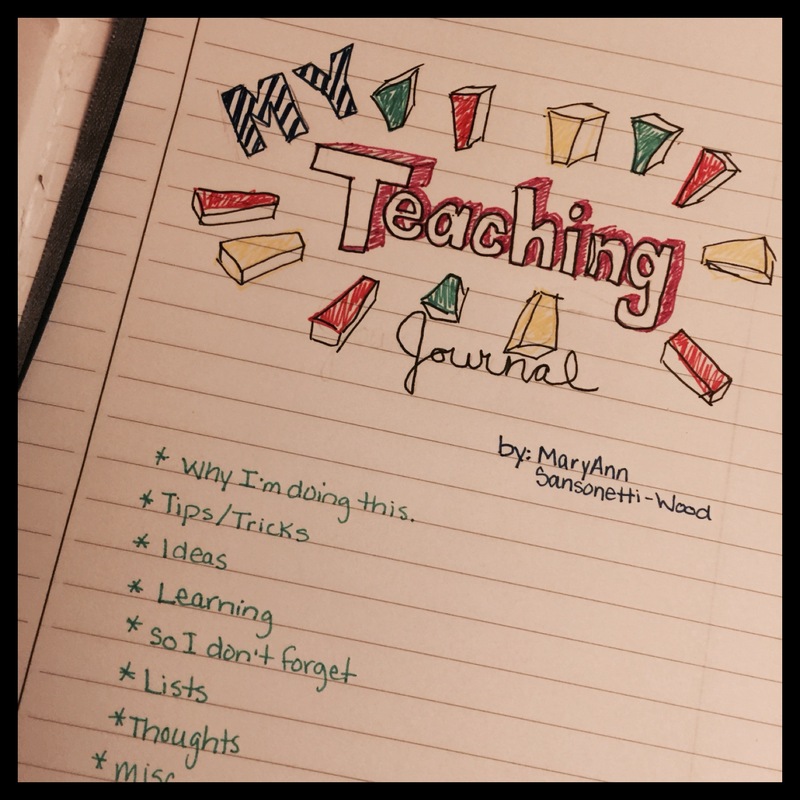 The Good, the Bad, and the Ugly of my first year back in the classroom after a 10 year hiatus. I decided I will start with the bad… go to the ugly and finish off with the good. A positive note. A happy note. So what was so bad about my first year back in the classroom? I should probably put a disclaimer out there that “the bad and the ugly” really only happened during first semester. Freshman are hard. In my previous teaching experience I taught mainly eighth, tenth, and eleventh grade. I only taught freshman one semester. Freshman are hard. The transition to high school is vast. It’s not just going to a bigger school. It’s the expectations, the amount of classes/homework, no longer getting an A on a test without studying, etc. Students have a hard time with all of the social and emotional changes in their freshman year. When you add on the academic challenges of being in high school the first 9 weeks it might make them implode. I put this as “the bad” but I do have to tell you the good side to this. I did learn this year, I am GOOD for freshman. They drive me crazy at times but my expectations are high and I work with them to meet those expectations laying the foundation for other classes in high school. I am a good communicator with parents. This helps the parents adapt to high school as well. I try to keep them in the loop about their child and his/her progress. Technology helps me a lot. I use Google Calendar for all of my assignments. I email when big things are happening in class. I try to not let them be uninformed about their child in my class. School Community. One of the things I was looking for as I made the transition back to the classroom was the sense of community a school has. Due to the size of our school (Over 2000 students and 100 faculty members), community can be a challenge. It also didn’t help that I was a former District Office employee who was moving back to the classroom. There were a lot of questions as to why. “Who would leave the District Office to go back to the classroom?” “She must be a spy.” “She must have done something wrong.” I was not to be trusted until people got to the core of why I was teaching again. When I made my decision I wrote about why take a look back. As you will see repeatedly as I reflect, I will go more in depth about the District Office to teacher transition in another blog post. There is a good side to this as well. About mid January, I was what I would have considered to be “accepted” but people at the school. I began to feel that sense of community I was longing for. Disappointment about student learning. One of my biggest disappointments for the first semester is what students would do for the “points.” It wasn’t about learning. It was about getting the most points to make the highest grade. The realization that points were more valuable than learning made me think ‘maybe I don’t need to put as much in to this. It isn’t what they care about.’ One rookie move for me was not thinking that every possible test bank I could use for tests was online. I had students memorize test questions from online test banks they would find. I was quick to catch on though… by the second test I had a student ask me a question about the test. The student kept saying, “The answer for this should be E but it’s not.” I asked the student what needed to be clarified on the question. The student repeated the comment. At that moment I knew this student had memorized the questions. because I rearranged the answers and the student memorized that question’s answer to be E.
The feeling of not being good at what I used to love. This was the biggest “bad” for me. I felt lost. With trying to not sound like I am bragging, I am not usually bad at anything I try or put my mind to do. My true first year of teaching was in a rural South Carolina school. The students were all from lower socio-economics and the baggage they brought to school with them daily broke my heart. But that year seemed easier to me than first semester of this year. I wasn’t living up to MY expectations. I loved teaching when I taught. Why wasn’t I loving it now? This is all I ever wanted to do when I was a kid. Why didn’t all the students love my class? Why weren’t they doing homework? Why wasn’t I implementing all of the things I learned that make great classrooms? I was stressed by daily teacher to do’s, IEPs, 504s, this meeting, that meeting, Student Learning Objectives, etc. 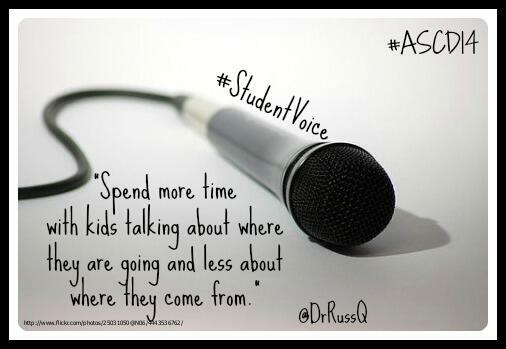 I couldn’t focus on learning my content because I was stressed about this student not acting right or what if a child emails his/her mother during class saying I am doing or not doing something for their child. (This one happened by the way) I spent so much time worrying that I never got anything done. I always felt two steps behind. I didn’t know what to do so I slowly started opening up to my department head. She was my sounding board and my soothsayer. If it weren’t for her, I am not sure I would have made it. The bad was horrible while going through it. At this point, all of these points seem so far away. The bad made me a better educator. It actually ended up fueling my passion to be better at what I do. My next post is going to look at the ugly of #Year17Year1. I am going to dive deeper in to the anxiety, crying, loneliness, and WTF moments. Keep in mind the reason I can write about this now is because I am passed it. I have to get to the ugly to get to the good. In preparation for going back to the classroom I watched a lot of teacher preparation videos on The Teaching Channel. As I watched, The Spotlight Method: End of Lesson Assessment I love the idea of getting students to tell me where they are with their understanding of the lesson. 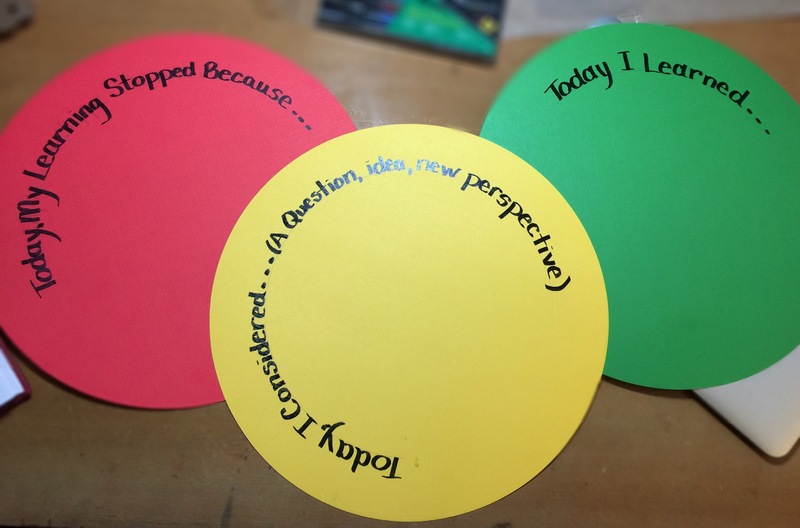 The idea is there are 3 circles like a street light and the students fill out a sticky note completing the following statement: Today, I learned…(green circle) Today, I considered…(yellow circle) or Today, my learning stopped because… (red circle). I made my signs today. I will laminate and hang tomorrow! They are about 11″ round so many kids can add sticky notes per class.